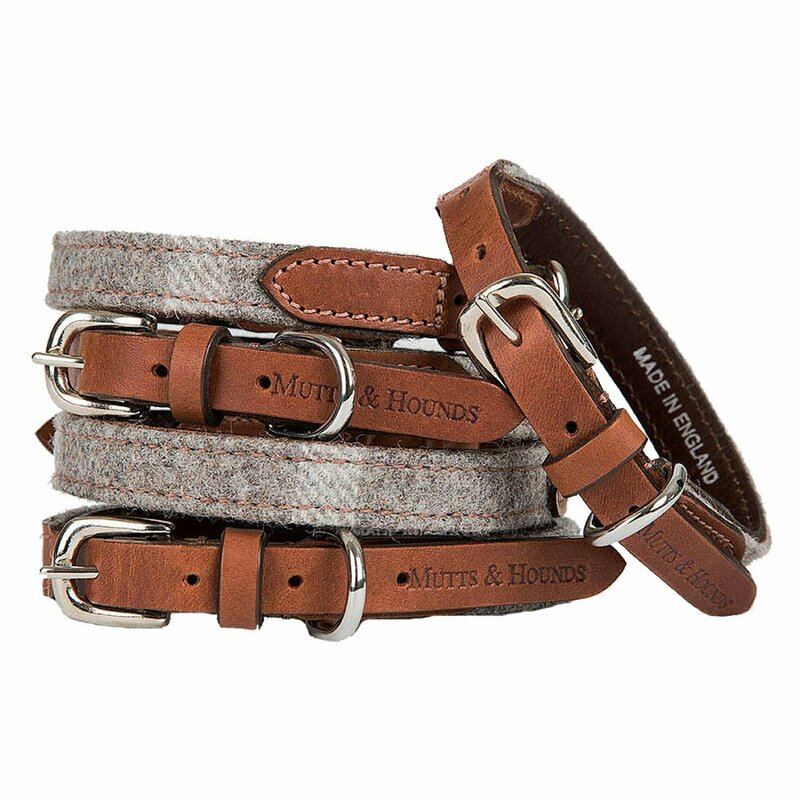 The Mutts & Hounds Slate Tweed Dog Collar is a beautiful collar made from the finest materials and hand crafted in England. This Bruccatio leather dog collar has slate coloured Yorkshire Tweed on the outside to bring a touch of British Country Chic to your dogs look! The Mutts & Hounds Slate Tweed Dog collar is made from the finest materials and finished off with solid brass fittings. Matching leather dog lead also available. XS (Tiny) 9-12", Small 12-15", Medium 15-19" and Large 19-22".